TC4 Condos is a new condo in Vaughan that is the fourth phase of the impressive and very popular Transit City development. 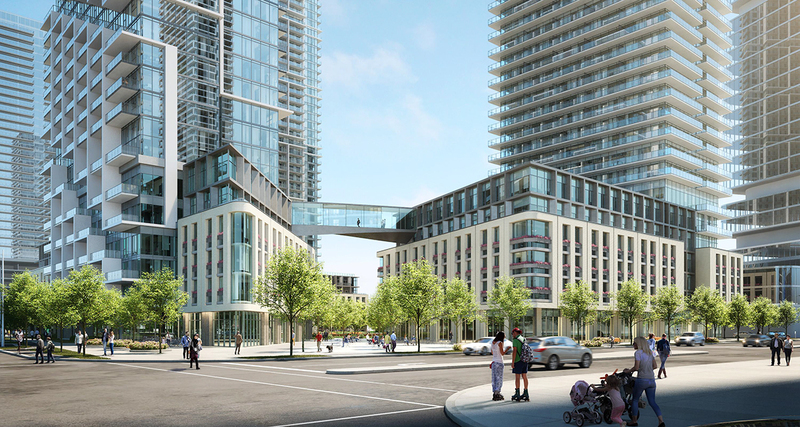 Transit City 1, 2 and 3 had unprecedented demand and were the fastest selling condos in the history of the GTA. Following on from those highly successful launches, demand is sure to be high for TC4 Condos. 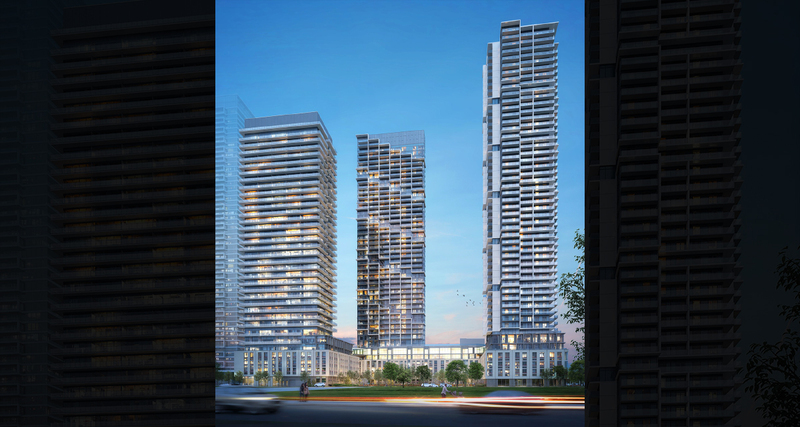 The 50-storey condo tower will have a total of 566 units in a range of sizes. Floorplans have not been released yet but the first three towers all had spacious layouts and a range of sizes, with some units suitable for families. Prices are also likely to be appealing, with the developer noting that many suites will be priced in the $300,000s and $400,000s – making them amongst the most affordable residences on the subway. Register with us to keep up to date with the latest information on TC4 and to receive floorplans and price lists when they are made available. In terms of amenities, residents of TC4 Condos will have access to the Training Club – an incredible 24,000 sq. ft. amenity space. The Training Club will be six storeys tall and include features such as a swimming pool, an indoor running track, yoga spaces, a spa, exercise spaces, and a co-working space. The Training Room will also overlook a new one-acre park, which will stretch across to the entrance of TC4. 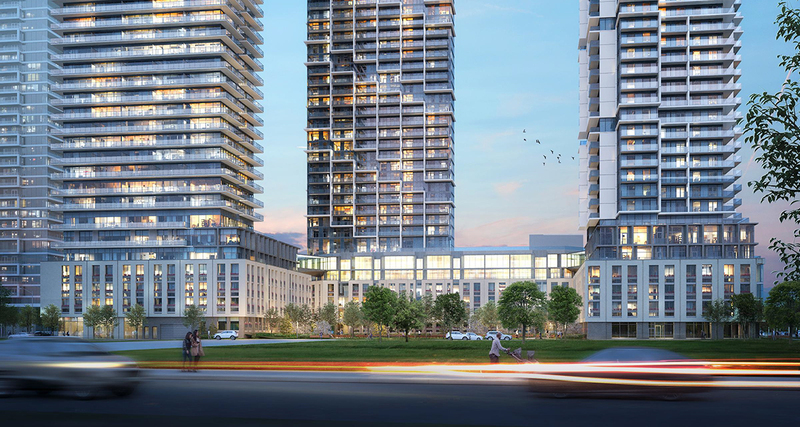 TC4 Condos is located on the edge of Vaughan Metropolitan Centre -the new downtown of Vaughan. 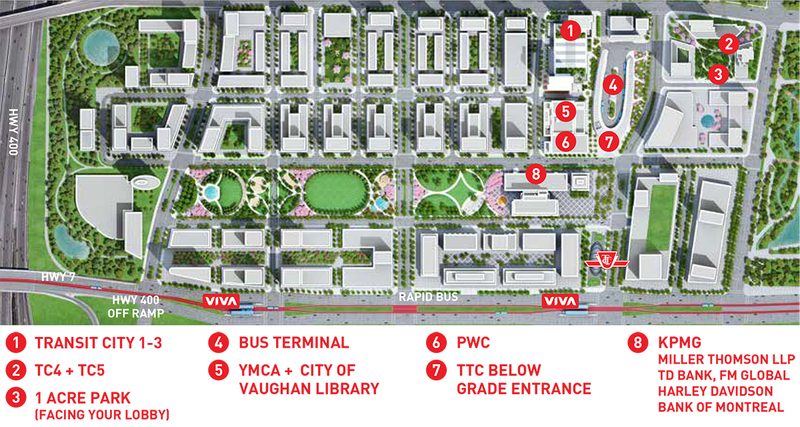 As you can see in the siteplan in our project gallery, there are ambitious plans for VMC. 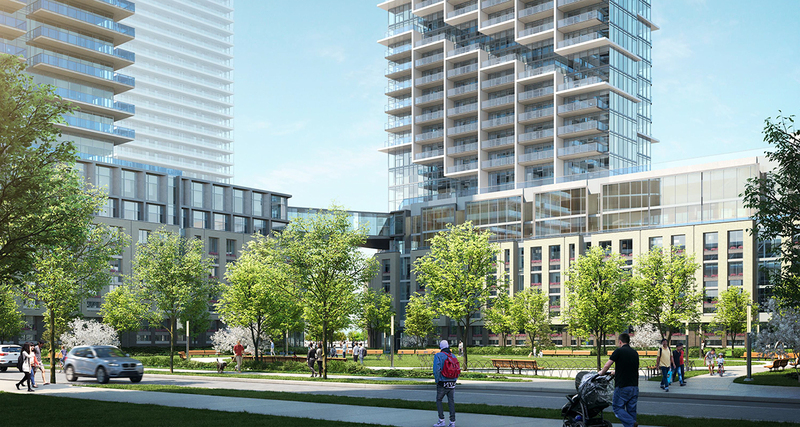 The site, stretching from Jane Street to Highway 400, will be a major hub, with many residential and commercial buildings built around a huge park. Once complete, it will be a city within a city and will house thousands of residents as well as some of the biggest companies in the GTA. The name Transit City tells you everything you need to know about this location. TC4 Condos will be just steps away form the Vaughan Metropolitan Centre subway station – the northernmost station on TTC subway line one. That means residents can get from their doorstep to Union Station in downtown Toronto in as little as 43 minutes. Of course, it’s not just downtown that is easy to reach as along the way there are many other highlights, including Yorkdale Mall (15 minutes) and York University (5 minutes). 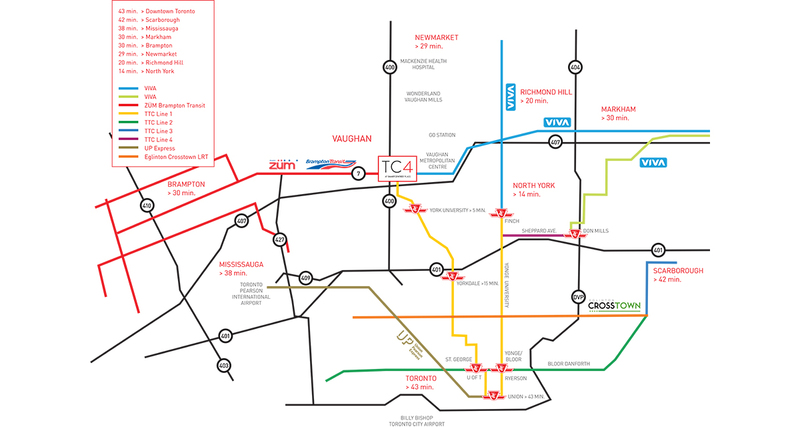 The subway isn’t the only option for residents as new dedicated bus lanes on Highway 7 ensure rapid transit by Viva bus, while nearby Highways 400 and 407 give drivers lots of options.